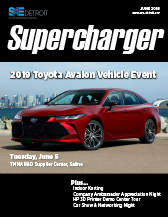 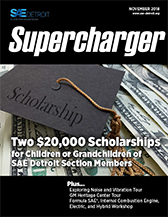 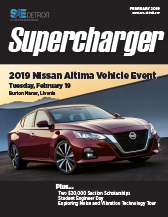 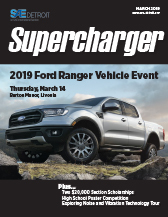 Supercharger is the official publication of SAE Detroit Section that brings members together with news of vehicle events, tours, technical meetings, social events and much more. 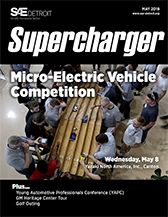 Each issue features exciting new technology and behind the scenes stories focusing on the engineering process of today’s top vehicles. 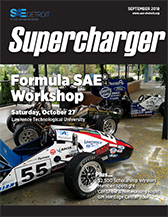 Supercharger is SAE Detroit Section's official publication with news of Vehicle Events, tours, technical meetings, social events, and more.